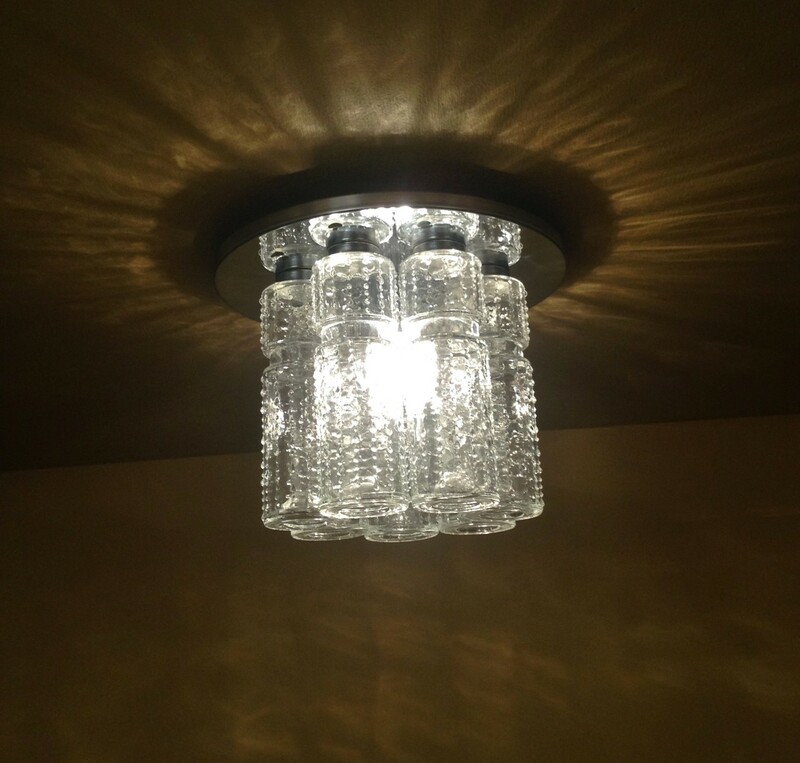 Years ago I purchased, online, a 1970s foyer ceiling fixture by Lightolier. The seller did not pack well, and six of the seven glass tubes arrived totally destroyed. And so, the poor fixture sat in my storage vaults, its single remaining tube standing alone, and lonely. Then, a few weeks ago, I found the above fixture online. 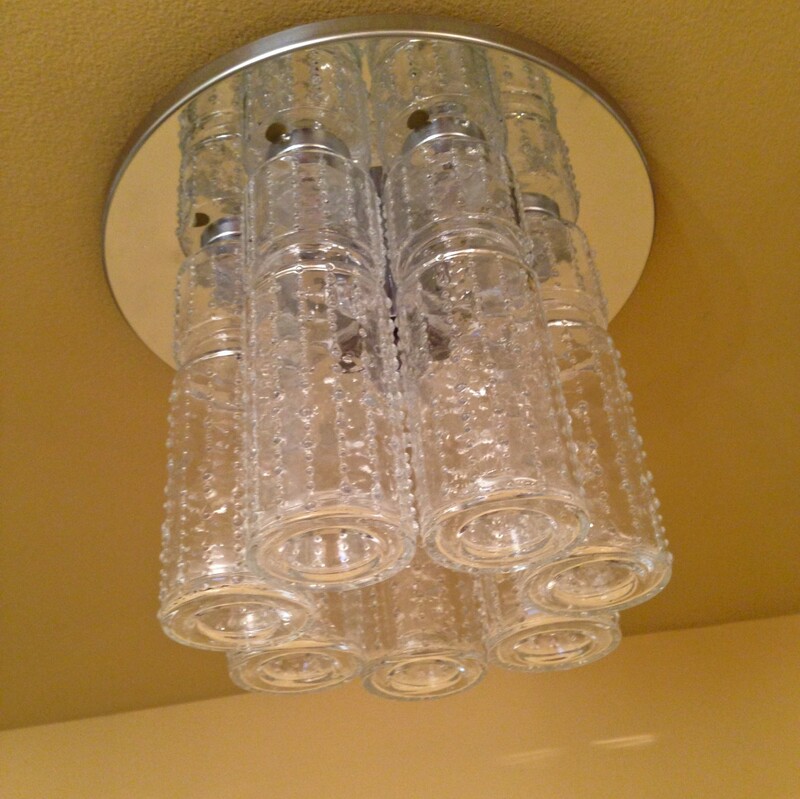 The seller also stated that they had a matching fixture, but one glass tube was broken. One broken tube, but six remaining? And I had six broken tubes and one intact? It seemed like a match made in heaven. Thus, after many years, my lonely glass tube is reunited with its long lost siblings. It joy, and mine, are great. The glass tubes retain stickers stating MADE IN WESTERN GERMANY. So, time-warp tubes. So dazzling when lighted. I do love a happy ending. It is surprisingly more beautiful when lighted. The more I look at this one lighted the more I like it. I remember this! 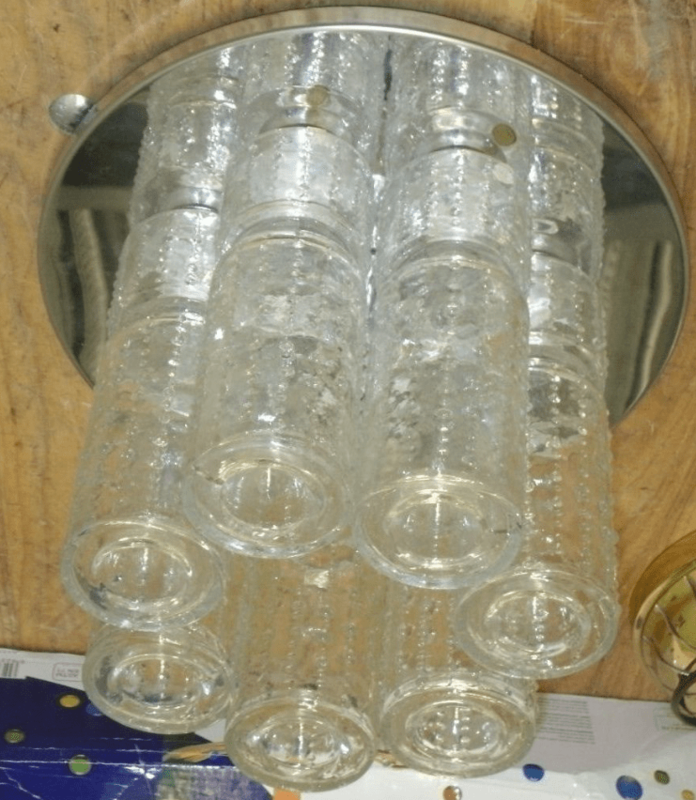 I worked for a plumbing/electrical/lighting retailer for most of the 80s, and I recall finding this fixture in “the attic”, where old stock and damaged items were stored. They had apparently carried Lightolier and Sonoma Lighting for a period in the 60s/70s, most of what they had left was track lighting. 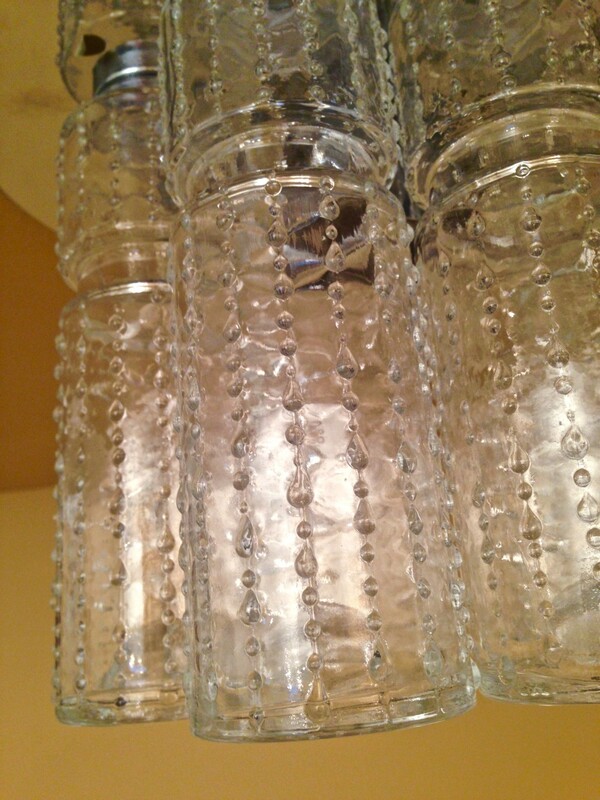 I just remember finding this and a lot of other funky fixtures that had been on the shelf for years. I was in charge of lighting and ceiling fans, and I devoted an area on the display floor to NOS and closeouts, and I remember displaying this light. Thanks for the memory!